The Dig Issue: Snow on the plot! 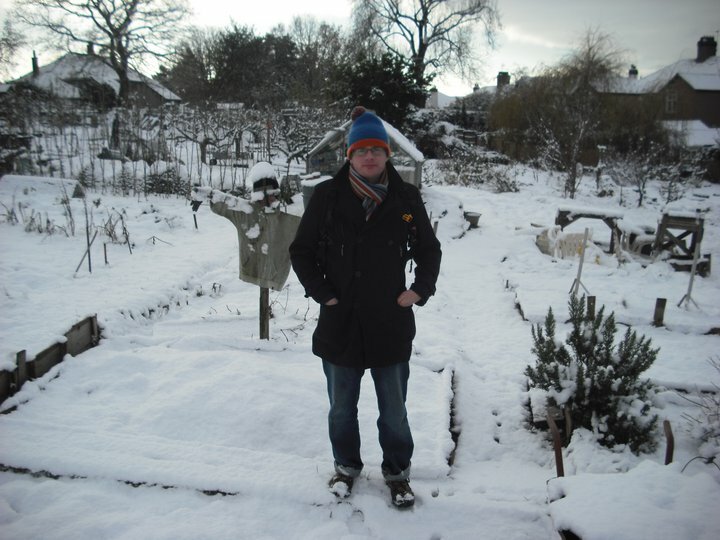 Well it's been colder than a penguin's privates this past week and allotment activity has ranged from zero to zilch! Not a lot you can do when everything is frozen. That includes Roath Lake and Caerphilly Castle's moat which was a sheet of white this morning after a light dusting overnight. Very pretty but the swans and ducks don't look amused! Dave has taken a little trip around Cardiff recently and posted this photo online with the allotment behind him. It's a very white plot! Poor Worzel Scummage the scarecrow is sinking in the soil!